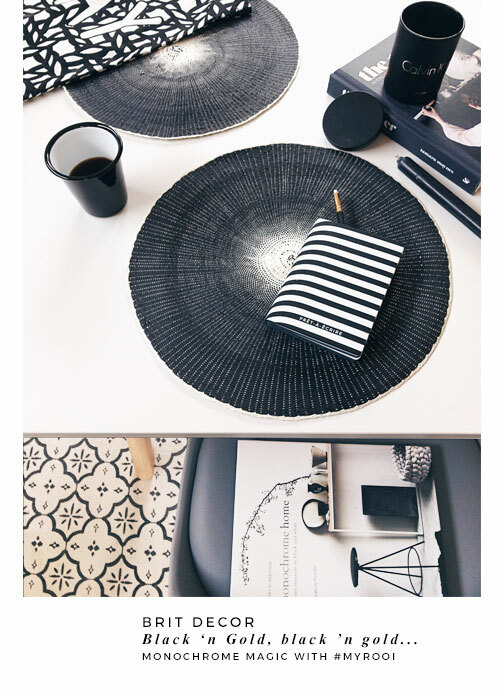 Little by little I am gradually accumulating quite the monochrome home in terms of accessories. I love the versatility of this classic black versus white combo, whether it's colour-bombed with a flash, or three, of a bold & energetic hue, or fused with gold accents (see my previous 'Golden Hour' post) for an enviable luxe-look scheme, the simple fact is; Monochrome works! 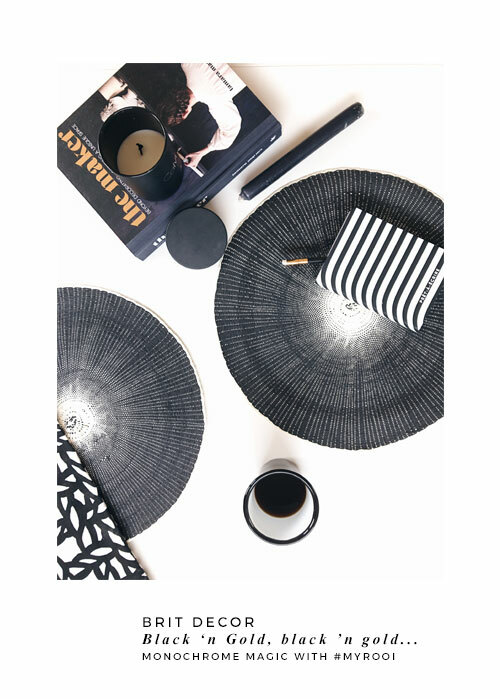 I was recently rooting through the web pages of my latest go-to home decor accessories find, Rooi, when I spotted the perfect 'details' to add to our monochrome family, including these Scandi style placemats by House Doctor - the perfect addition for our white dining table and soon to be monochrome kitchen. 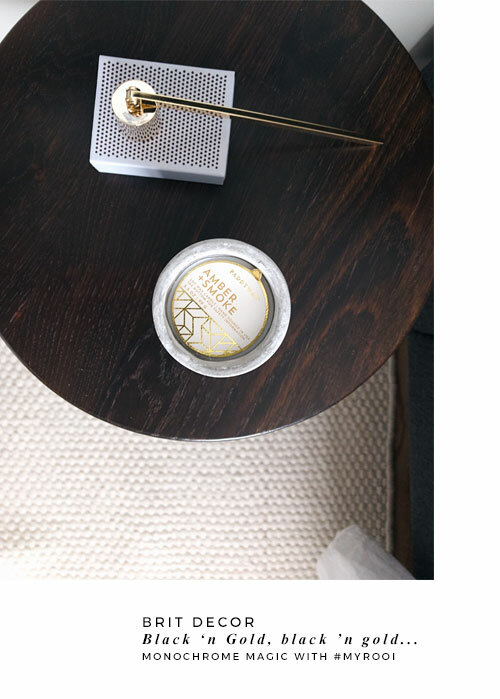 I also had to (yes I literally twisted my own arm) opt for a scented candle to feed my current obsession with home scents. 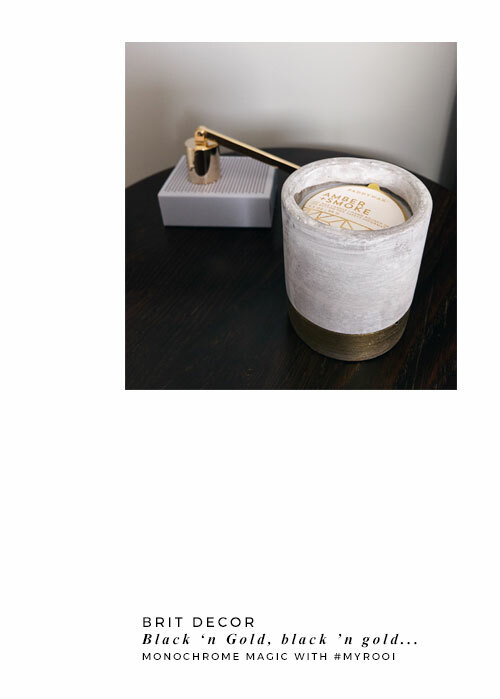 This eye-catching concrete and gold tumbler is scented with Amber & Smoke and smells divine. 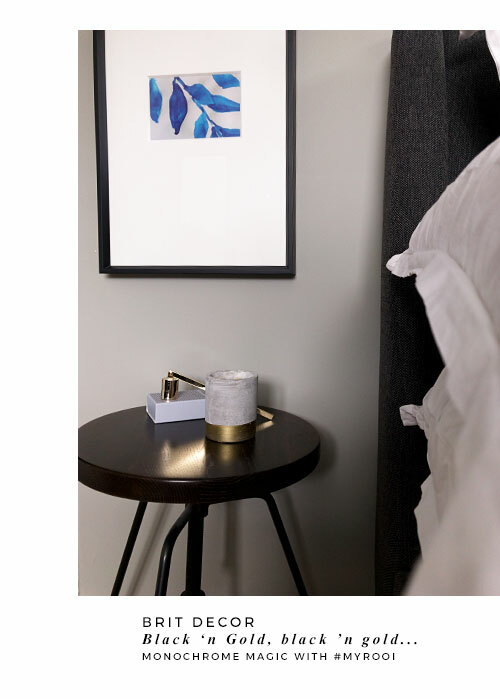 I love how well this candle pairs with the classic and slick candle snuffer, which hopefully suggests the look of a serious candle connoisseur!? 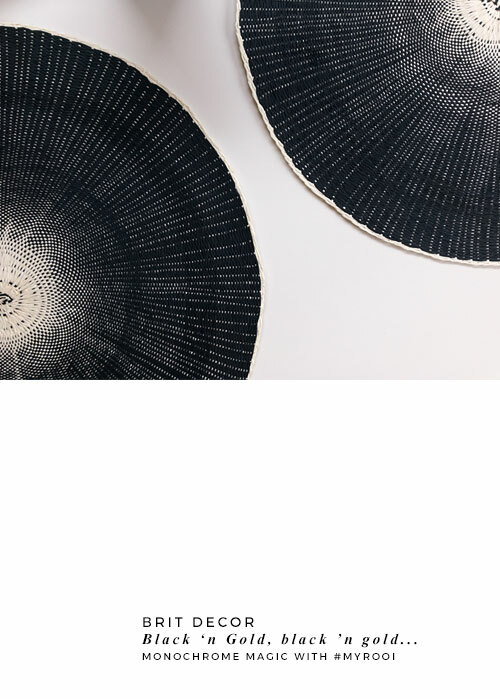 Have a look for yourself at the pretty amazing range at www.rooi.com and be sure to use the #MYROOI hashtag if you share some pics of your purchases - I'd love to see!